Ragtime, Piano-Rag-Music, and A Soldier's Tale all date from roughly the same time (1918-1919), and all prefigure Stravinsky's interest in jazz. Ragtime is a piece that grew directly out of the earlier ballet A Soldier's Tale, and the Piano-Rag for solo piano appeared less than a year after Ragtime. Stravinsky's Ragtime is scored for a small chamber orchestra of 11 instruments: flute, clarinet, two horns, trombone, bass drum, snare drum, side drum, cymbals, cimbalom, two violins, viola, and double bass. Ragtime is an extension of the "Ragtime" section in A Soldier's Tale; it is twice the length, with a larger orchestra, but retains some of the same essential features. The pervasive syncopations of ragtime music are set against an unwavering, regular 4/4 meter. Regular meter is normally an unlikely occurrence in most of Stravinsky's music, but in this piece the regularity clearly throws the syncopations into relief. Stravinsky became aware of the cimbalom in 1915 and sought to use it whenever possible. It assumes a prominent, almost soloistic role in Ragtime, much like in his chamber ballet Renard. As with numerous other Stravinsky works, Ragtime became a dance piece. It was choreographed in 1922 and 1960, first as a divertissement, and later as a duet. 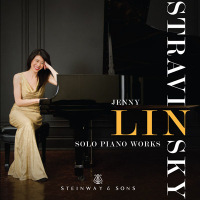 Stravinsky also created a piano arrangement of the work.